Is Our Peanut Butter Organic? Since many tend to associate organic peanut butter with natural oil separation, sometimes people are surprised to find that we are not actually organic! Since the question comes up from time to time, we wanted to let you all know why that is. The easiest answer as to why we’re not organic is because we came first! We haven’t changed our ingredient list for our natural creamy and crunchy peanut butters since the beginning, and organic wasn’t really a thing back in 1898 (or even 1998 for that matter!) The USDA Organic Seal is actually only 15 years old. So why didn’t we change when organic became popular? Well, we actually looked into it quite a bit. The hype was certainly there and as a health conscious company, the prospect of delivering a potentially healthier product for our customers was something we were very interested in. But we ran into a couple roadblocks along the way. The first was that we were unable to find a quality organic domestic supplier for our high-oleic runner peanuts that are the secret to the Crazy Richard’s single ingredient success. In fact, if you look at the back of many organic peanut butters, you will see “Product of Canada” stamped on the back. I mean, we love Canada and all, but the only problem is that peanuts don’t grow in Canada. 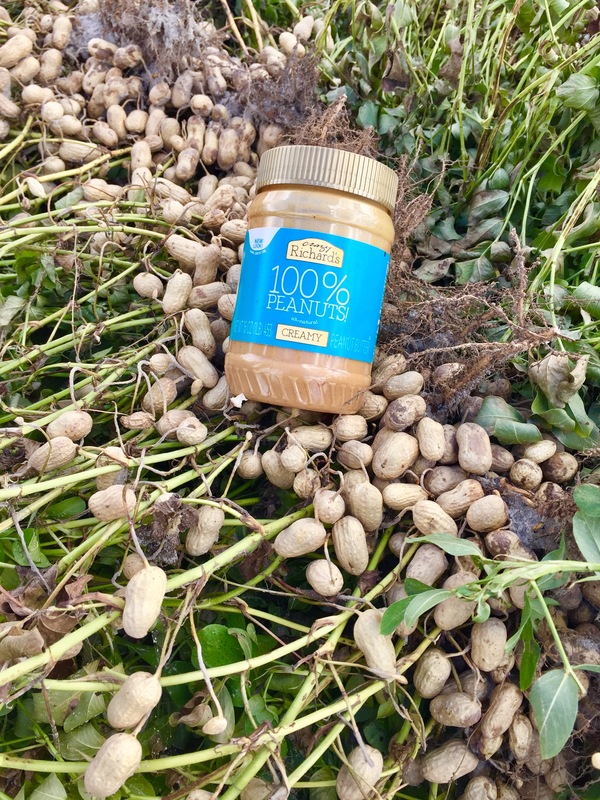 We did a little digging and found that the organic peanuts are actually grown and shipped in from China, ground into peanut butter in Canada, and then shipped again to the USA. By that point, it’s virtually impossible to track what region and certainly what farm the peanuts came from. For a company that is accustomed to being on a first name basis with our Georgia farmers (Here’s to you Pete! Your picture is still up in our office! ), that was a lot to sacrifice, especially while the scientific community is still undecided regarding whether the pro’s outweighs the cons with eating organic vs. conventional. The second major roadblock was the sharp increase in price that we would have to pass onto our customers. As you know, organic ingredients and certifications are extremely expensive. One thing that we pride ourselves in as a company is being able to deliver truly nutritious foods at an everyday affordable price. We don’t think healthy needs to be a luxury. While there are certainly many healthy organic foods out there, not all organic foods are necessarily healthy. Organic cookies are still going to contain extra clutter like sugar, oils, salt, etc. Does that make it healthy? Nope. Our peanut butter is one pure ingredient: peanuts! I don’t know about you, but I would much rather eat a peanut butter with only peanuts than organic peanut butter with organic sugar. What do you think? Would you rather eat organic sugar or no sugar?